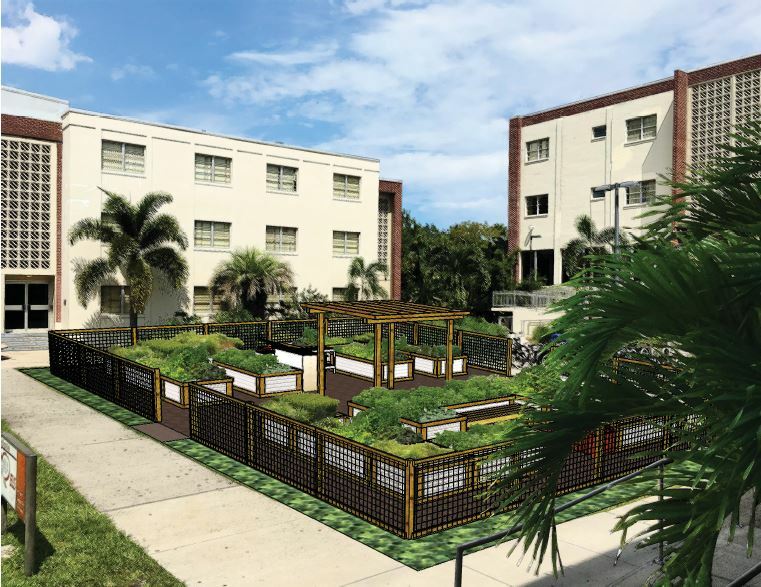 If you look around at the student dormitories at Florida Tech today, you will see new sustainable agricultural roots taking hold. 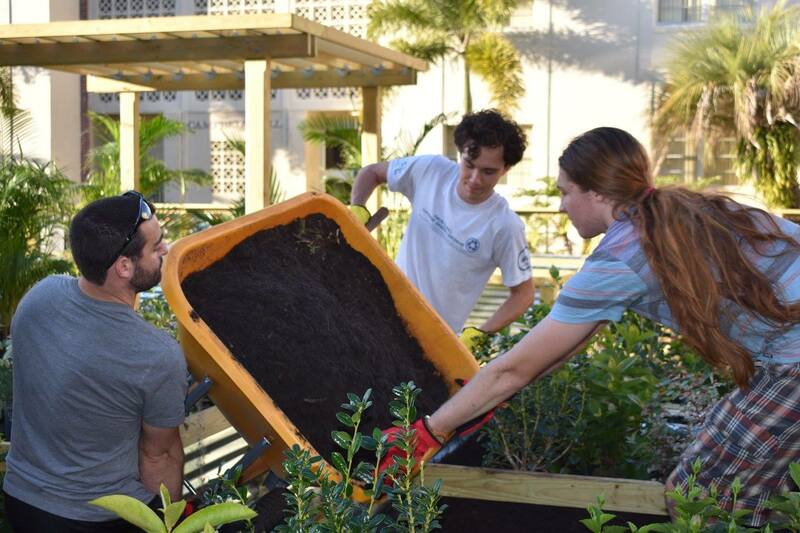 As the centerpiece of the student residence hall a community sustainable garden on campus was planted. “Our committee is supposed to make our residence hall more sustainable,” explained Zach Eichholz. Zach is the Residence Life Sustainability Committee President (Current Major: Interdisciplinary Sciences Masters of Science; Sustainability Studies Bachelors of Science from Florida Tech 2016). He has had the opportunity to serve his committee through building many relationships with community members, even grant writing. What started as an idea for a community kitchen, evolved into the Ethos Community Garden project. 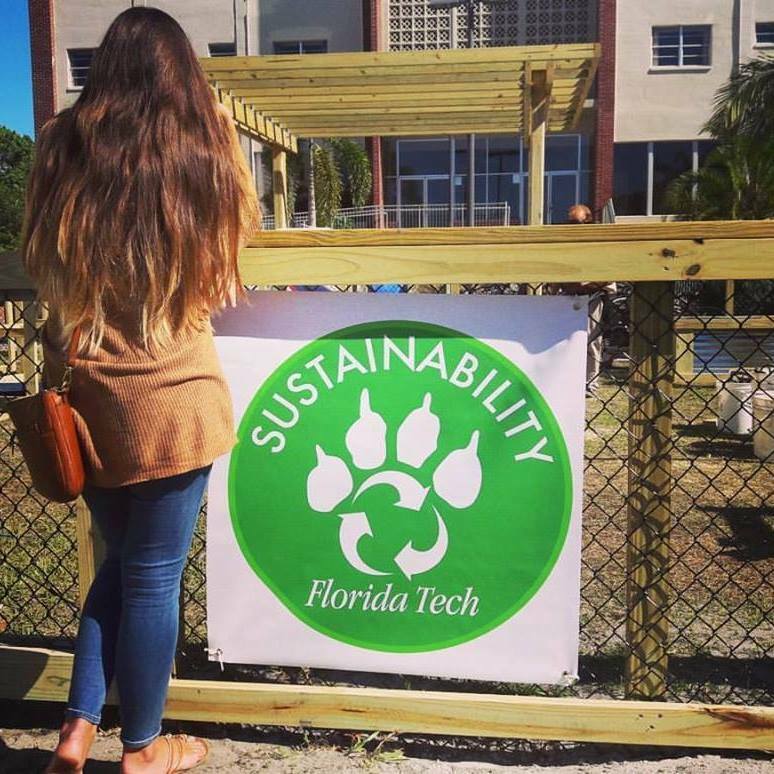 “A lot of the idea came from Zach small discussions as a committee and turned into a student action plan for success,” explained Jacqueline Hetherington, FIT Residence Life Sustainability Committee Staff Advisor. “The design itself went through a series of iterations and had to be approved by Facilities Department at Florida Tech” added Lexi Miller, Residence Life Sustainability Committee VP (Current Major: Interdisciplinary Sciences Masters of Science; Civil Engineering Bachelors of Science from Florida Tech 2015). 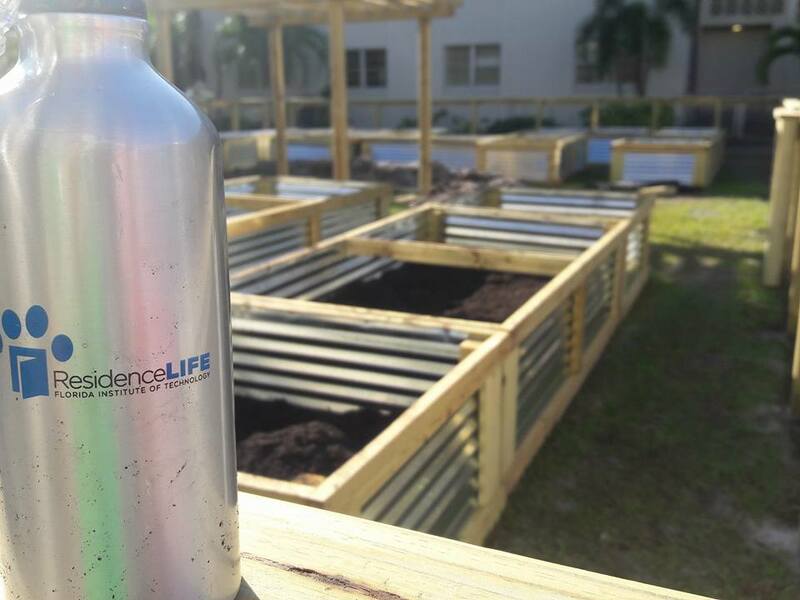 In the end, the Florida Tech Facilities Department constructed the 500-square foot community garden in conjunction with Residence Life Sustainability Committee Students. The sustainable garden on campus was constructed to be ADA compliant as much as possible. 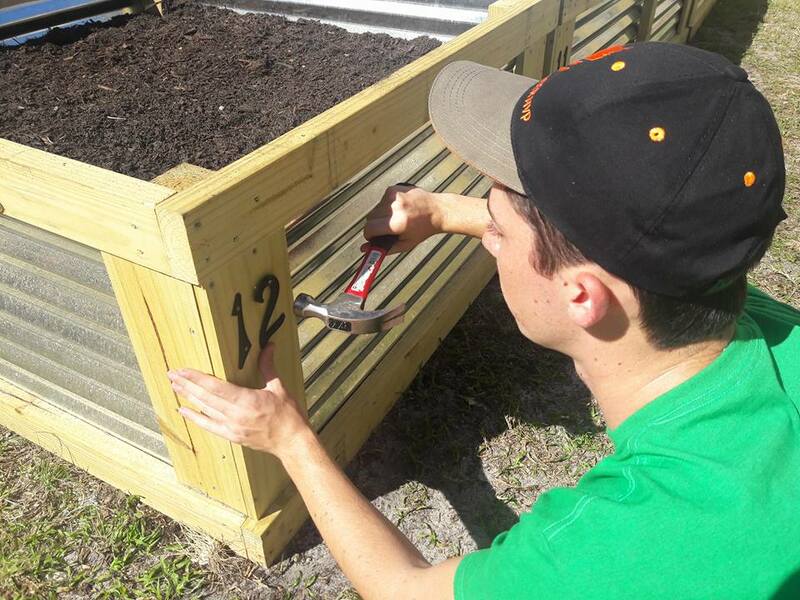 There is a sprinkler system and two-foot deep raised beds with a dirt box for future use. Additionally, students have appointed among themselves a “chief engineer” who is working on a design for catching rain water. There have been conversations about installing vertical growing in the future. 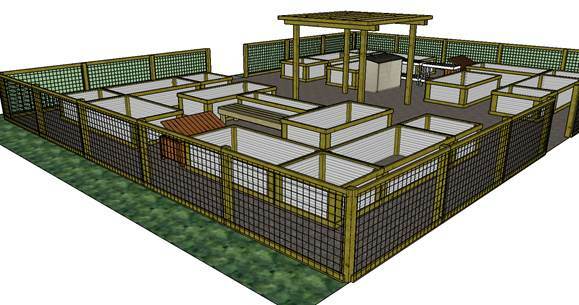 Already, there is a pergola in the center of the garden and a fence around it that could be used for vertical growing. They are growing some produce from seeds; others have been purchased as juvenile plants to build out the growing cycle. 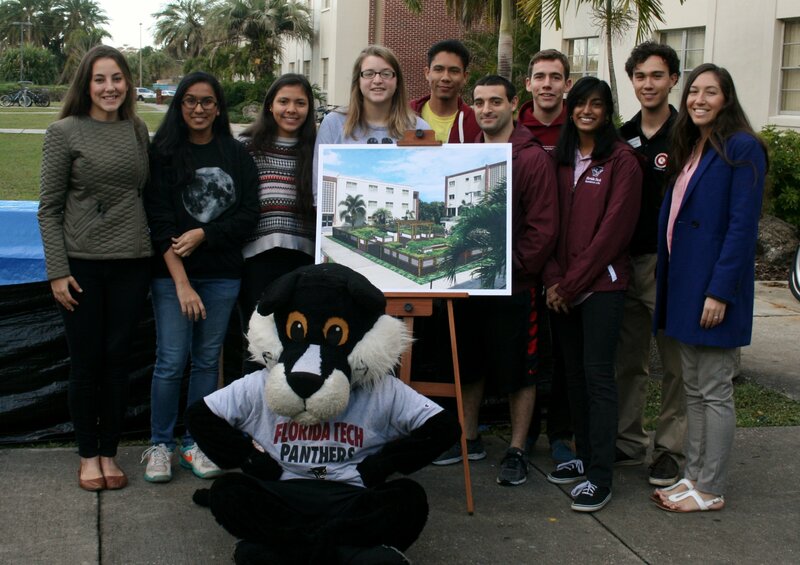 The Residence Life Department, which includes the voluntary 18-member Residence Life Committee, reflects a diverse membership from different grade levels; the committee was formed to build up sustainability on the Florida Tech’s campus. 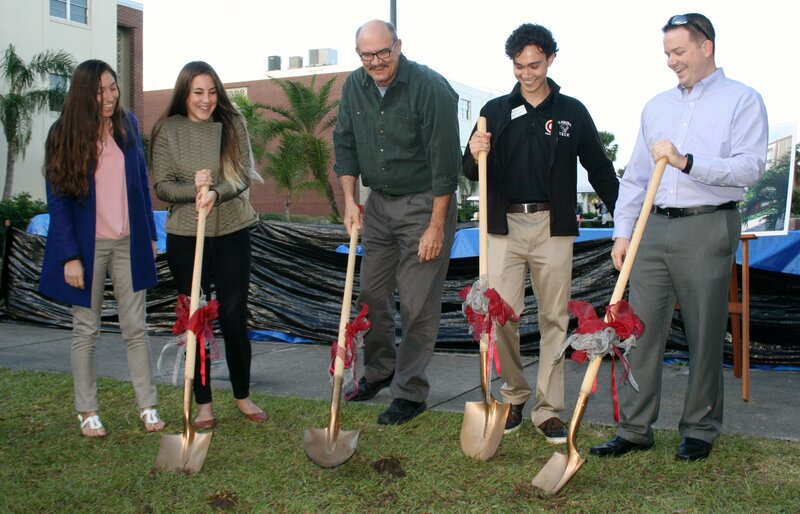 Florida Tech granted the use of the land and even assisted students in architectural design and layout. In the future, the Residence Life Committee is envisioning building a bat house, a box constructed for bats on top of a 20-foot pole. Bats are desirable because of they help control the mosquito population. 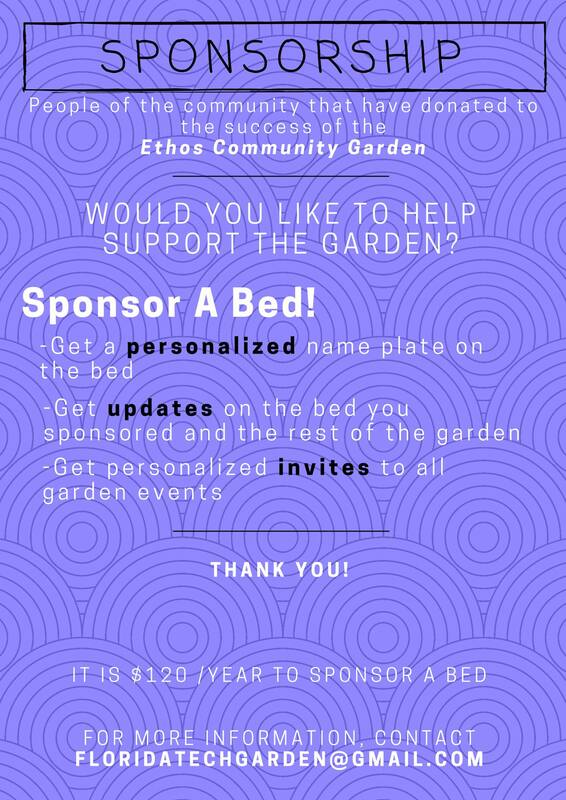 For more information about the community garden, please visit https://www.facebook.com/EthosCGarden.